Winter Whiskerthon — Patricia H. Ladew Foundation, Inc. 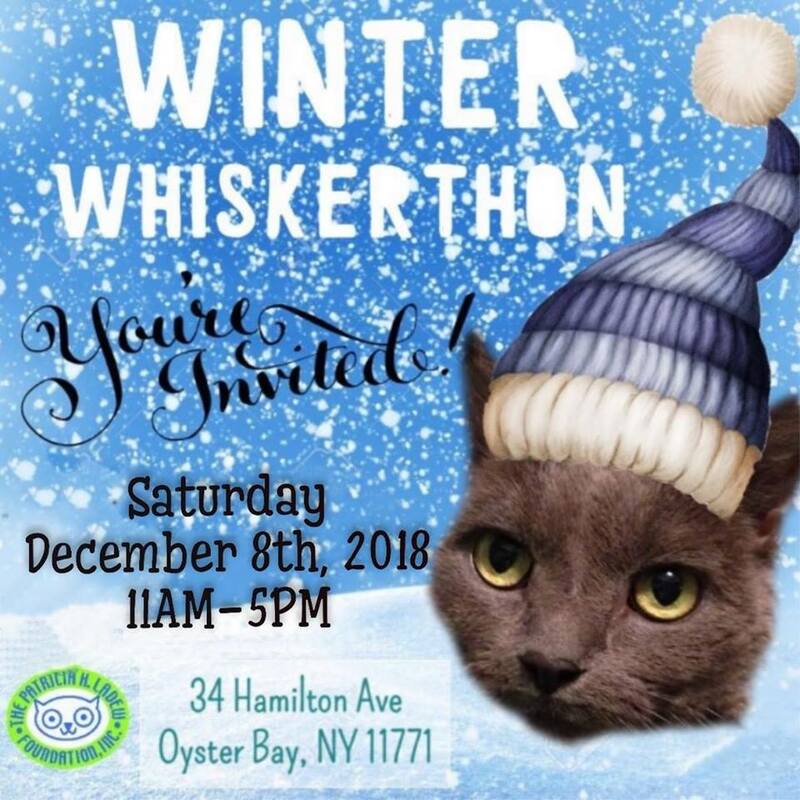 Please join us for our second annual Winter Whiskerthon adoption and rescue awareness event. Light refreshments (apple cider and cookies) will be served. The event will showcase many cats ready for adoption -- adorable kittens, loving adults and even sweet seniors will be on hand to meet potential adopters. All cats have been medically evaluated, vaccinated, spayed and neutered. Each adopter will receive a stocking with toys and treats for their new feline friend. For any seniors that adopt a senior cat, a gift basket complete with everything you need to start off cat ownership will be given for free while supplies last. Love cats but not ready to adopt? Stop by anyway and sponsor a cat from our sponsor tree! For just $25.00 visitors can pick a handmade ornament from our sponsor tree and sponsor the kitty they pick. The ornament is yours to keep and the kitty will send you a follow up letter thanking you for your generosity. Santa Claus is rumored to stop by!